I’ve been sharing a lot of my favorite fall recipes here lately on the blog. 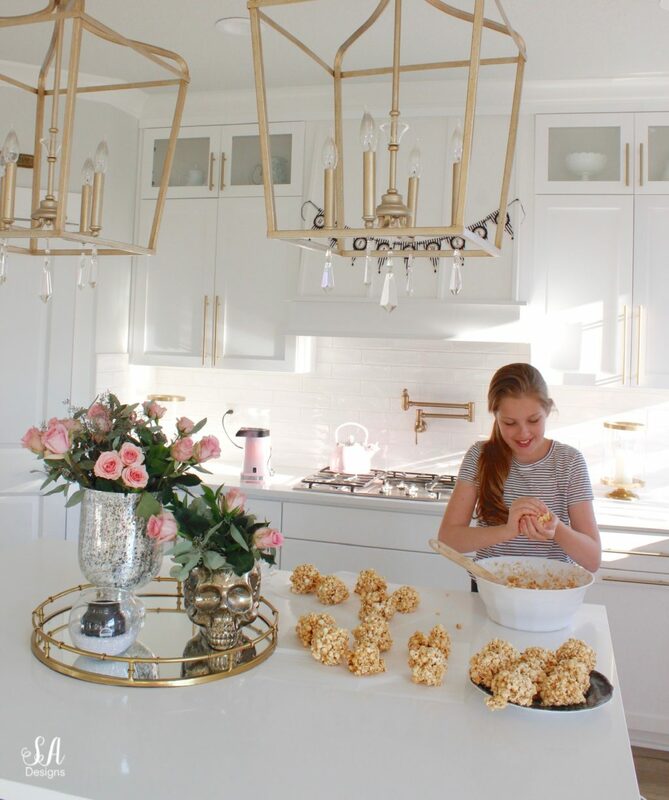 This last weekend, I asked my oldest, Brooklyn, if she wanted to learn to make our family caramel recipe and make popcorn balls. She happily accepted and we wanted Beckham to get in on the fun with us but he was, as usual, out riding his bike around the neighborhood with friends. However, he had no problem coming in afterwards and enjoying the treats we’d made. So here it is….the yummiest and easiest caramel popcorn balls ever! This recipe actually comes right out of my mom’s handwritten recipe book, that I treasure, and is my Great Uncle Walt’s caramel recipe. He was a hoot. I’m not quite sure about the story behind this recipe so I need to ask her but we have been making this particular recipe for as long as I can remember. 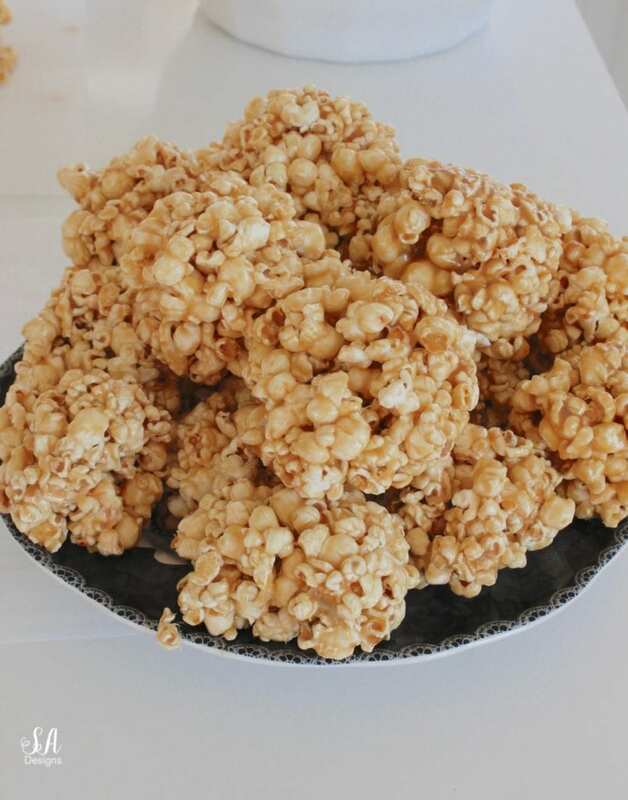 Just remember….after you lick this delicious caramel off your fingers, you must wash your hands before making more caramel popcorn balls! Mix butter, light corn syrup, light brown sugar, and vanilla extract over stovetop on medium heat. 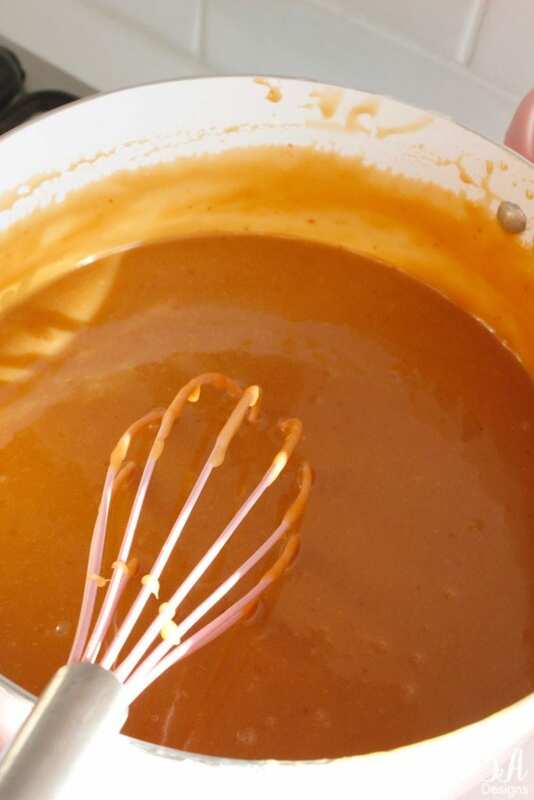 Stir often until it mixture comes to a rolling boil. Add can of sweetened condensed milk and return to boil. Drop a small teaspoon in cup of cold water and if it starts to harden, it's ready. Remove from heat and let cool for about 5 minutes. While caramel is cooling, air pop large bowl of popcorn and remove all un-popped kernels. 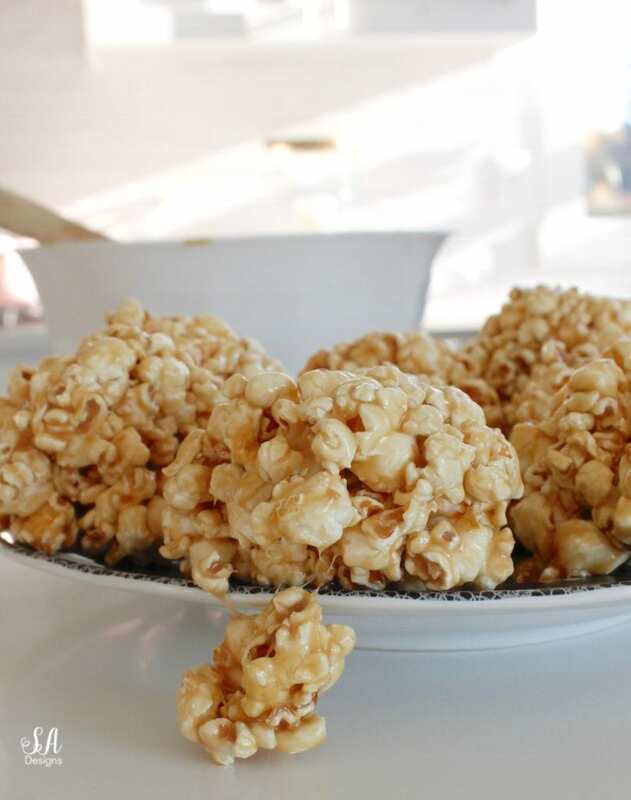 You don't want to bite down onto those hard pieces later while enjoying the chewy caramel popcorn ball. 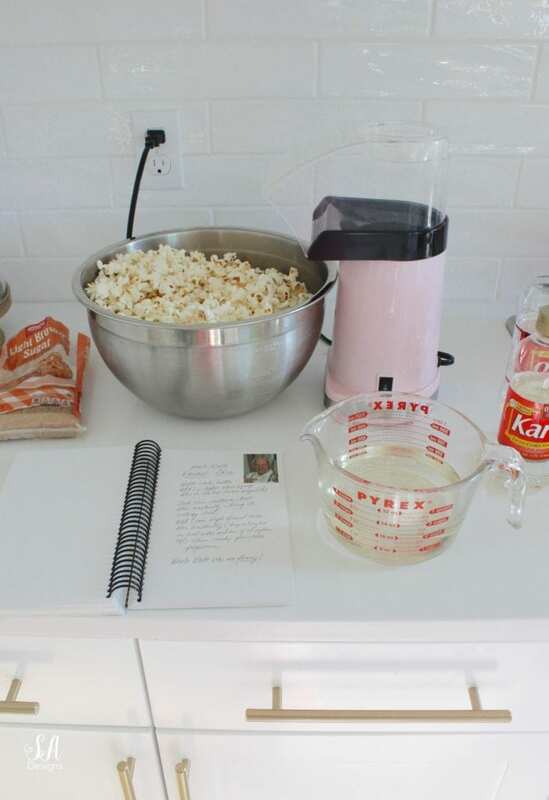 Pour desired amount of caramel over popcorn so that it completely covers popcorn and mix thoroughly. 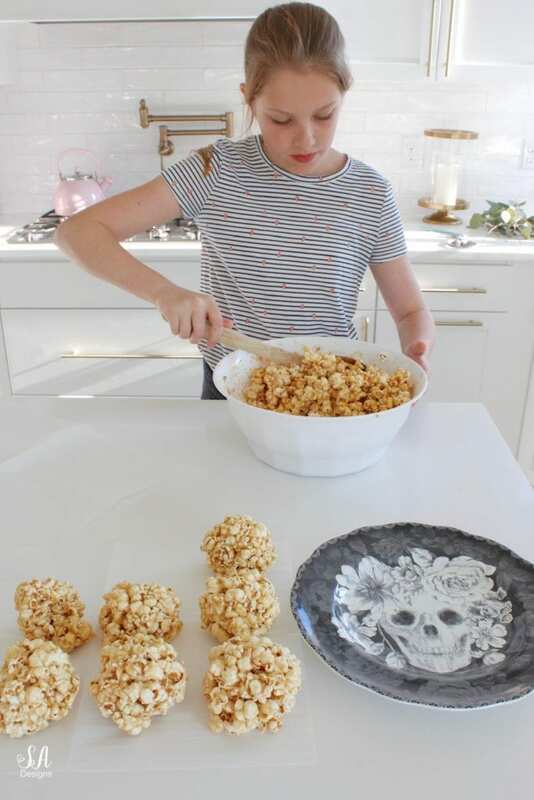 Cover your hands in butter and then grab large handful of caramel popcorn and press firmly into ball. 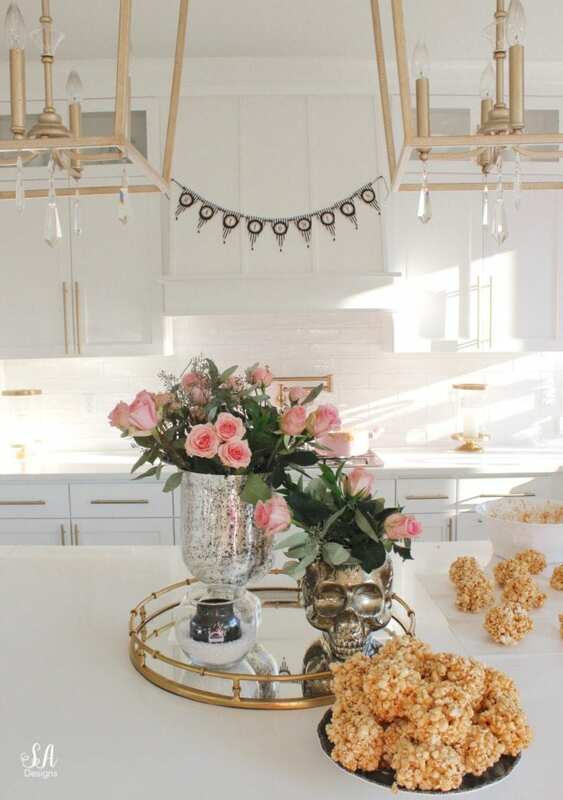 Place on wax paper or baking sheets. 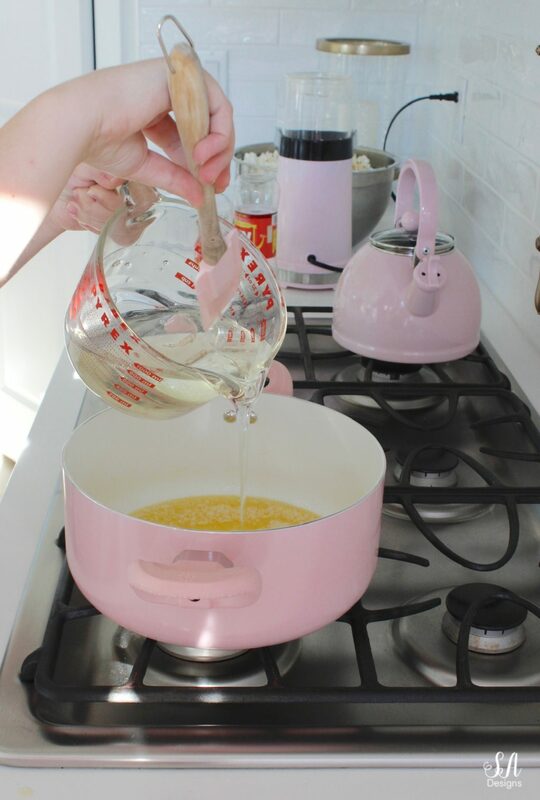 Notice, I have some favorite pink pieces in my kitchen so I’ll link them at the end in my “shop the post” section. Doesn’t that look soooo yummy?! It is!!! They are so gooey and chewy and perfect but let them sit and harden a little before you wrap them up and give them away OR serve them to your friends and family so that they don’t fall apart! I like to serve them stacked like this OR I’ll tie them in individual clear halloween bags with a little ribbon and give them away to friends. 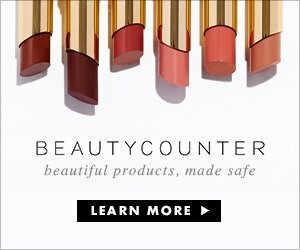 Hope you love these as much as we do! 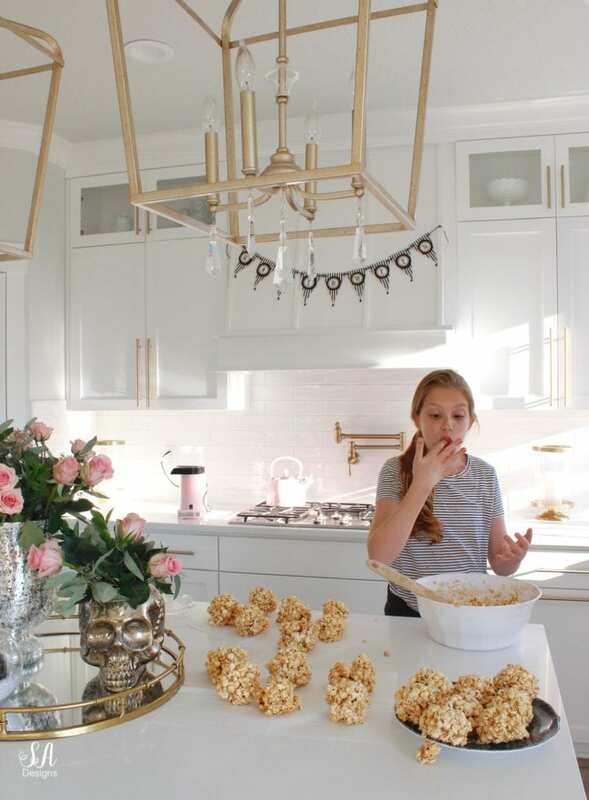 You can also stop after stirring the caramel and popcorn together and just bring the large bowl of caramel popcorn over to your people and let them dish some into individual bowls!